It seems like we were just looking at summer activities for kids and now here we are seeing all of the fun Halloween treats, costumes and party ideas floating around. While I don’t do much for Halloween myself, I am always a fan of the fun and unique treats others come up with. 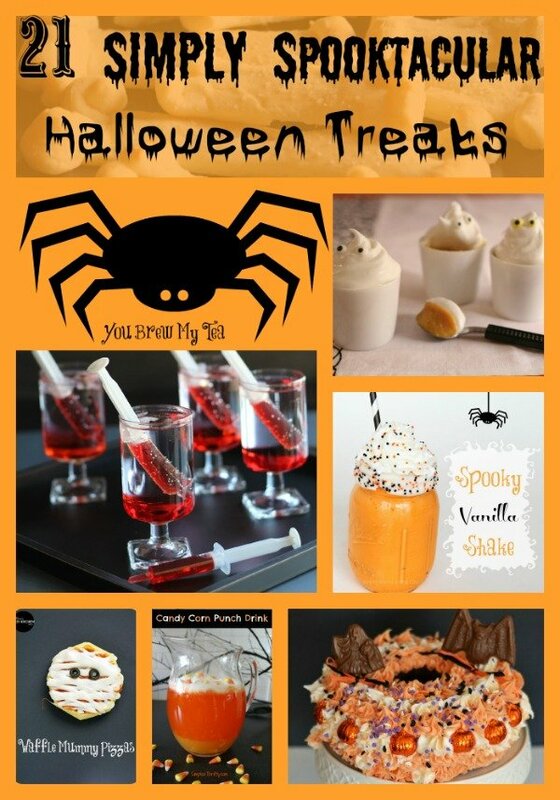 Here are 21 Simply Spooktacular Halloween Treats that I love! Not only have these bloggers gone super creative, but they have been frugal and made sure most of these are easy for kids to help with too. My favorite though has to be the little more complex Kit Kat cake. Definitely calling out to my cravings today! Even though we strive to eat and live healthfully the majority of the time, we do realize that holidays are special times where a little splurge on candy or treats is okay. Living by the 80% good and 20% bad rule is actually a healthy frame of mind for most and our family loves it. Especially when it means these yummy treats could be a special item on our bad list on rare occasion! Indulge in a fun whimsical Halloween treat on your own, or make one of these fun treats for your kids class party this year! No matter what your Halloween plans are, you are sure to find a great spooktacular Halloween treat in this list that will be perfect for your family! Have fun with lunch box treats, after school snacks, party treats or a meal made completely Halloween themed this year for your family!